A recent partial ban on using mobile phones behind the wheel in road safety star Sweden has resulted in very few prosecutions. And, two fatal school bus crashes in two days in France. Sweden has some of world’s safest roads despite allowing drivers to use phones behind the wheel. It’s striking that the two countries with the most consistently safe roads in Europe – and the world – both commit great big road safety no-nos. The UK has the highest drink drive limit whereas Sweden allows mobile phone use behind the wheel. Police say the new law is almost unenforceable hence there have been very few prosecutions since. It emerged last month that only 85 drivers were fined in 2014 and 76 in 2015. The typical fine is 2000SEK (£165). 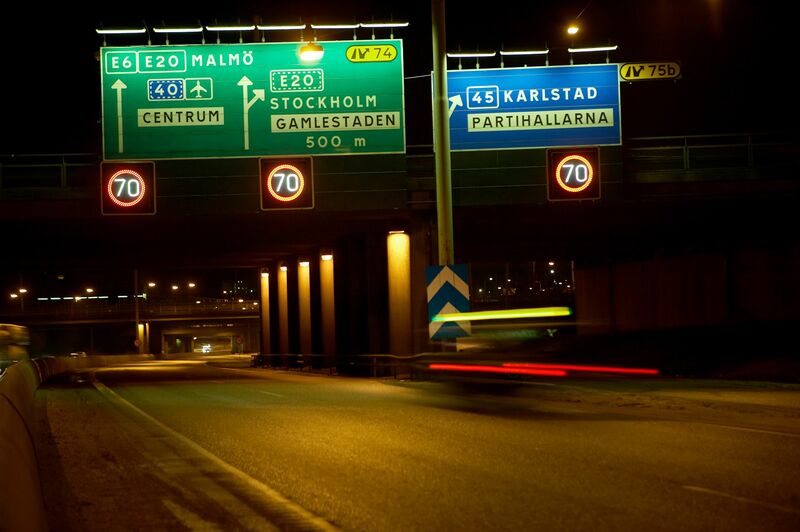 Despite selling its ‘Vision Zero’ road safety model around the world, Sweden has been struggling with road safety in recent years. Road deaths increased by 3% between 2010-2014, and by 6% in 2014 according to EU figures, even as the trend is downward elsewhere in Europe. The UK government is currently consulting on increasing the penalties for the use of mobile devices while driving. France school bus-truck crash: six children have died and two people were seriously injured at 07:15 this morning in a collision between a school bus and truck in central Rochefort, south of La Rochelle in western France. The minibus was heading from the island of Oléron to Surgères carrying 17 people, 15 children and two drivers, according to a statement from the Interior Ministry. Initial reports suggest a flap or door came loose from the truck and smashed into the side of the bus. It comes a day after two children were killed in accident involving a school bus in eastern France – the driver in that incident appears in court today charged with driver too fast for the icy conditions.